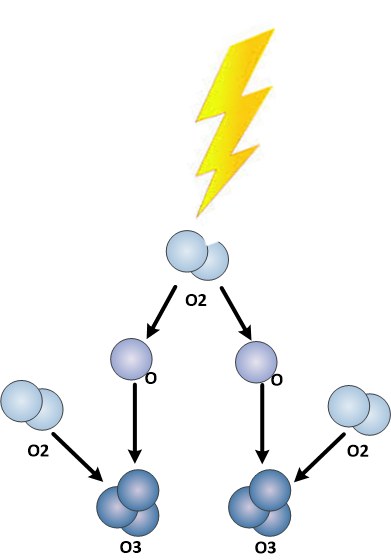 The purpose of this article is to explain the main types of oxygen generators available for ozone production and the advantages/disadvantages of each. There are a few manufacturers of oxygen generators, and a few differences between each. However the fundamental operation of each manufactures version is very similar so that will not be reviewed here. We will focus on the three main styles of oxygen generators and how they could be implemented into your ozone generation system. Generally smaller ozone systems will use the turnkey oxygen generators, and larger ozone systems with higher ozone production rates will use the industrial oxygen generators, while small to medium integrated ozone systems will use the OEM modules. However, there are applications where the industrial style oxygen generator is required for higher pressures, or turnkey oxygen generators are required due to the lack of space or available compressed air. 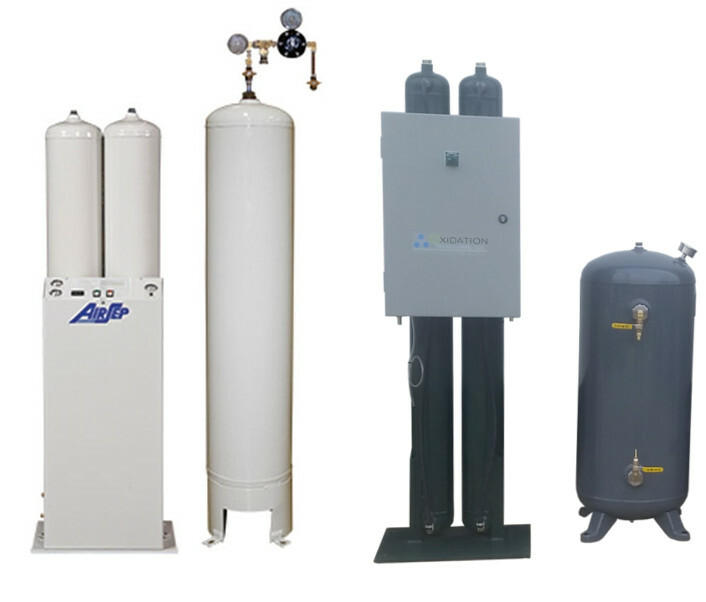 Packaged oxygen generators that include an oil-less compressor, PSA oxygen generator, and all components to concentrate oxygen from ambient air. These units only need electrical power for operation and will provide oxygen at 93% purity. These oxygen generators only require 120 VAC power for operation. Install is very simple, these can be hung from a wall, set on a bench, or left on the floor. It is important that the environment remains clean, dry and cool, ambient humidity above 85% and temperatures above 95-deg F will shorten the life of the sieve material dramatically as there is no integrated moisture removal system to remove moisture from the ambient air. OEM models are offered by both OGSI and Sequal (Chart). The OEM modules use the same PSA sieve beds and valving systems as the turnkey packaged oxygen generators provided by those companies. 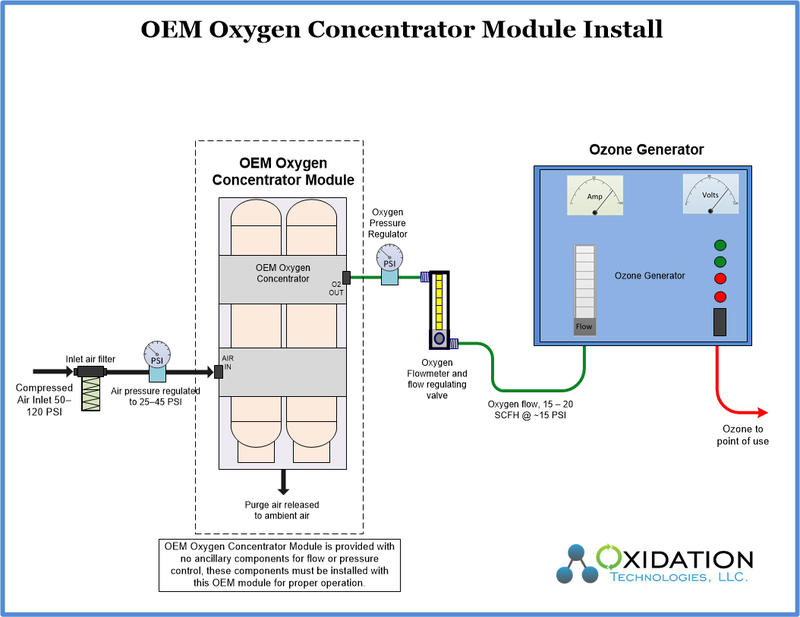 These modules are commonly used to build ozone generators with integrated oxygen generators, or smaller integrated ozone systems. The OEM Module is not a stand-alone product and does require a variety of components for proper installation and operation. Most important the OEM module requires clean, dry compressed at at 50 PSI or less. Air pressure regulators, pressure gauge, and filters will be required. Oxygen pressure regulator, and/or flow regulating valve, and flow meter will be required also. Use of compressed air from plant air compressor may allow for very clean, dry air to be used increasing reliability dramatically when compared to the turnkey packaged oxygen generators. Industrial oxygen Generators are used for medium to large scale ozone generation systems. These systems require compressed air for operation along with proper plumbing and set-up. Large steel cylinders are used to hold the molecular sieve material, and quality rebuildable solenoid valves are used to perform all purging and oxygen recovery actions. 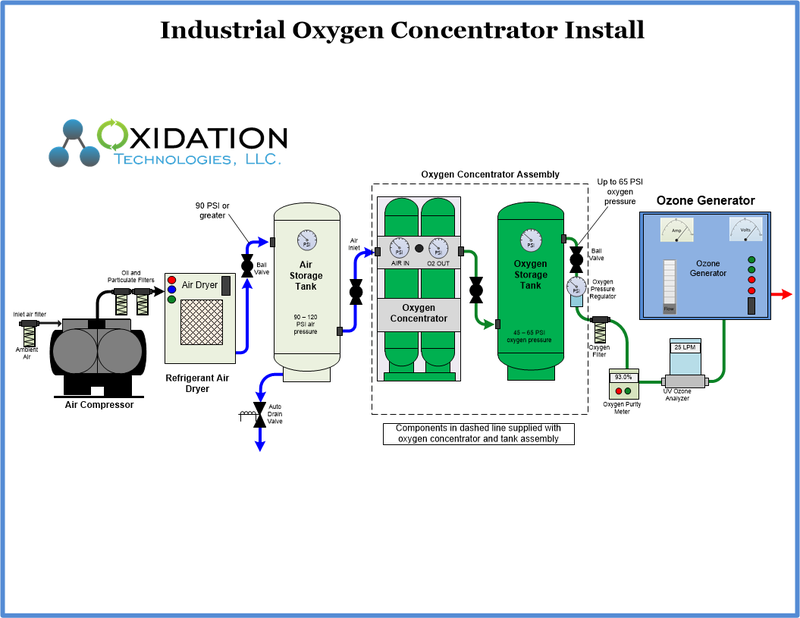 The Industrial Oxygen Generators do require more installation work, and planning than other options. Typically, all components required for install are provided with the unit, however some assembly is always required on-site. A main oxygen generator system is provided with a separate oxygen storage tank that must be plumbed together with proper tubing, along with an oxygen pressure regulator, pressure gauge and other components necessary for your application. Also, an oxygen storage tank may be required near the oxygen generator, or you may require a completely dedicated air compressor system for the oxygen generator. Install requirements should be reviewed for each application. There are very few manufactures of quality oxygen generators left in the industrial market place. Air-Sep: is now owned by Chart and is therefore the same company as Sequal. Air-Sep produces both large industrial oxygen generators, and turnkey oxygen generators for both the industrial and medical applications. Sequal: is now owned by Chart and is therefore the same company as Air-Sep. Sequal produces both turnkey oxygen generators and an OEM style oxygen generator (ATF-series). A separate product line from Sequal services the medical applications. OGSI (Oxygen Generating Systems Intl): Produces turnkey oxygen generators, OEM versions, and industrial versions mostly for the industrial applications. OGSI is the preferred vendor for Oxidation Tech due to quality, and low cost of long-term ownership. 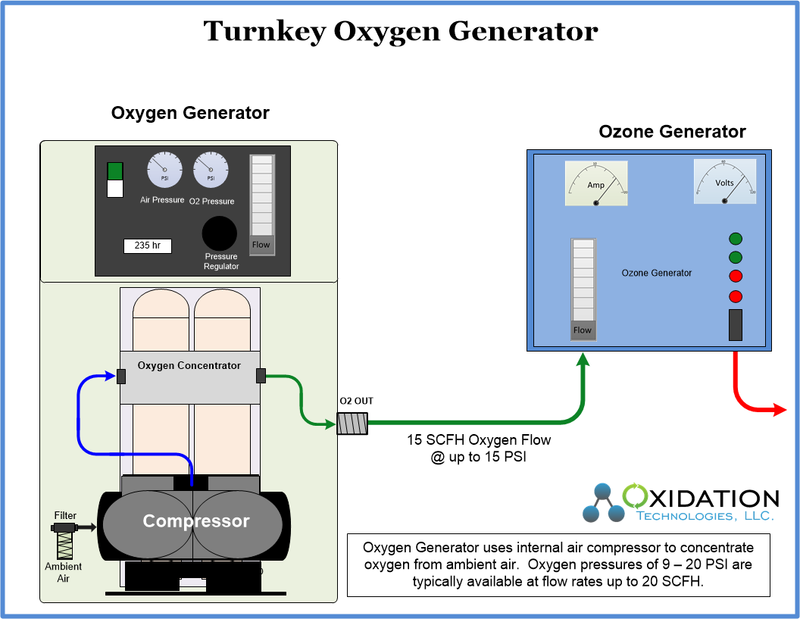 ClearWater Tech: is an ozone generator manufacturer who invested in producing their own oxygen generator. The Aerous line of oxygen generators is a turnkey packaged system that is suitable for smaller ozone generation applications. At this time there are no other manufactures of oxygen generators that meet our quality standards. We are aware there are a few options available from China that are a lower up-front cost. However, due to the high costs of long-term operation of any oxygen generator and the low quality of these other options we cannot recommend any of these at this time. 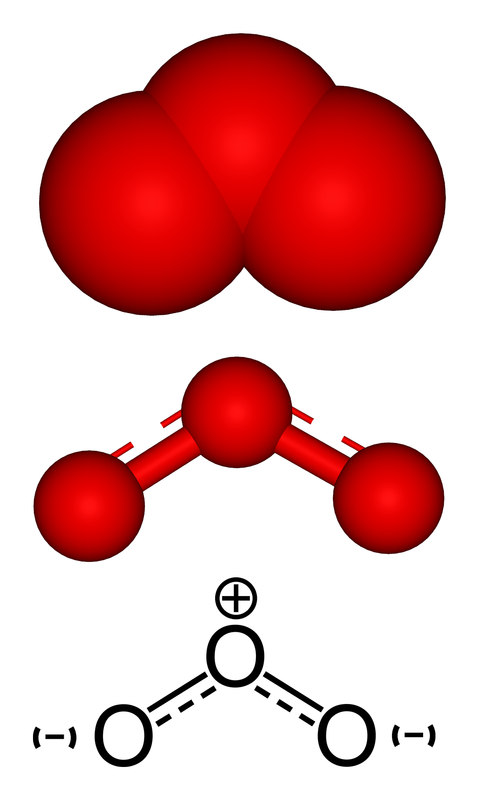 Oxygen can also be produced via the VPSA (vacuum pressure swing adsorption) method. At this time these units service the larger oxygen flow requirements and offer very few options in the small to mid-sized markets. 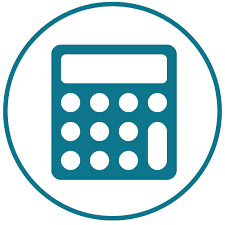 For most of our customers the VPSA option is not a good fit, however when applicable we do review costs for specific projects to weight cost effectiveness of each option. It cannot be stressed sufficiently, keep your long term costs in mind when choosing the right oxygen generator for your application. The highest cost of operation to your ozone system will be the electrical and maintenance costs of your oxygen generator. In fact, if your oxygen generator maintains high quality oxygen, the ozone generator will likely never need service or repair as long as you own it. A low up-front cost for the oxygen generator may not be the best long-term option to keep your overall operational costs low. 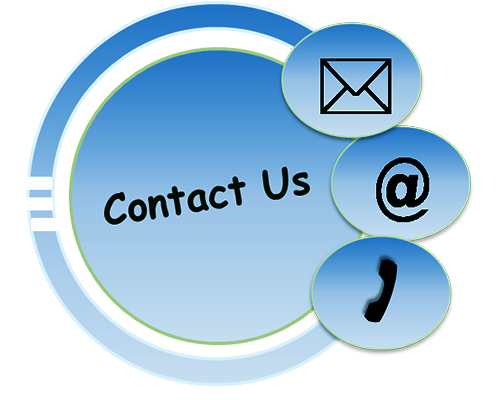 The most important factor in keeping your oxygen generator functional is air quality. Dust, moisture, oil, and other contamination in the air supply will destroy your molecular sieve material and force early replacement. If ambient air quality is not perfect, turnkey packaged systems are not a viable option. If compressed air is used from your existing plant compressed air system, ensure proper filtration, air dryers, and other precautions are taken to provide quality clean, dry air to the oxygen generator. There is no magic formula for air quality. The cleaner, and drier your air supply is, the longer the molecular sieve material will last. Every particle of oil, water vapor, dust, etc will potentially contaminate the molecular sieve and shorten the life-span.